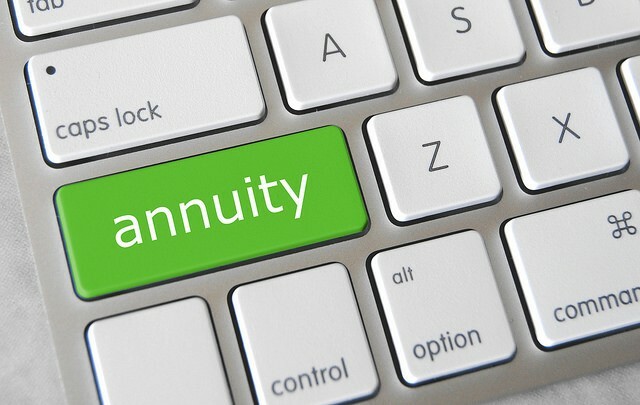 Real Deal Retirement » Blog Archive » Should An Annuity Be Part Of Your Retirement Income Plan? My husband and I have nearly $1.5 million in savings and are nearing retirement, although he has some health issues that may force him to retire sooner than we’d hoped. We like the plan our adviser has put together for us, but we’re unsure of the markets and are considering using some of our savings to buy an annuity for guaranteed income. Our financial adviser says we’re fine without an annuity, but we’re still unsure since neither of us will receive a pension. What do you think? If the combination of reasonable withdrawals from your nest egg plus Social Security will safely generate all the retirement income you’ll need, then your adviser’s assessment that an annuity is unnecessary may very well be on target. 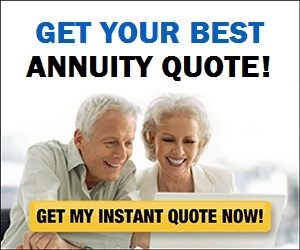 Then again, I know that some advisers just don’t like annuities, period. It may be because they’re wary of the fees associated with certain annuities or they don’t want to tie up a client’s money in one or they know that diverting assets to an annuity means a smaller nest egg for them to manage (and thus lower annual management fees). Or they may have other objections. Truth is, there are any number of reasons an adviser may or may not recommend including an annuity in one’s retirement income plan, some of them totally valid, others more questionable. And I don’t know enough about the particulars of your situation or your adviser’s motivation to say whether I concur with the recommendation to pass on an annuity. But I do know this: You and your husband are apparently concerned enough about whether you’ll have enough guaranteed income in retirement to make you feel comfortable and secure that you raised the issue with your adviser. To me, that warrants more than a “You’re fine” response. Ideally, your adviser should lay out several options for creating retirement income and run the numbers for each of them. After all, if you’re paying an adviser for advice, I don’t think it’s asking too much that he be comprehensive and show you a variety of ways you may be able to satisfy your needs. Your adviser could then compare that strategy to other options, such as devoting not all but a portion of your nest egg to an immediate annuity, a type of annuity that in return for a lump sum of cash guarantees monthly payments for the rest of your life. Your adviser could also show you how much income you might generate by using a smaller portion of your savings to buy a longevity annuity, a type of annuity that doesn’t begin making payments until the future, say, 10 or 20 years from now. For this approach to work, however, the adviser needs to take the time not just to develop these different scenarios, but to guide you through the pros and cons of each alternative and then help you come to an informed decision that addresses not just your financial needs, but your need for peace of mind in retirement. The key phrase here is “informed decision.” This shouldn’t be an exercise where the adviser goes through the motions of laying out alternatives or presents them in way that simply leads you to the option he prefers (or that puts his interests ahead of yours). Of course, any discussion of retirement income should also take into account your husband’s health issues. For example, a medical problem serious enough to significantly shorten one’s life span could argue against buying an annuity, as you don’t want to shell out money in return for a relatively short number of payments. How Does the 4% Rule Work—And Should You Follow It? Equally, if not more, important is making sure that your retirement income plan takes into account the expenses that may be associated with your husband’s health problems. That’s too big an issue to take on this column, as it involves not only choosing appropriate health insurance coverage given your husband’s condition (and perhaps also considering long-term care insurance) but also thinking about how large a chunk of your savings you may want to earmark for future medical costs. Still, your potential retirement medical expenses are certainly something along with other retirement expenses your adviser should consider when laying out retirement income alternatives and needs to factor into his recommendations. If your adviser isn’t willing or able to go through this sort of exercise and then discuss the pros and cons of different strategies with you, then you ought to consider finding an adviser who will. For that matter, if after going through a process like I’ve described you still have doubts about how to proceed, you could always seek a second opinion, so speak, and hire an adviser on an hourly or flat-fee basis to review your current adviser’s analysis and recommendations.